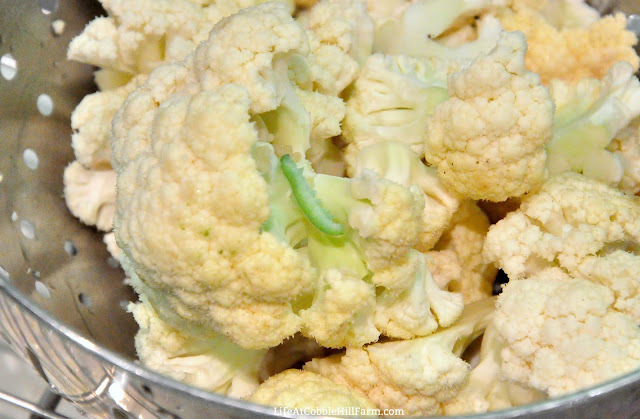 Cauliflower is one of those veggies that I don't often think about with the exception of a few recipes. 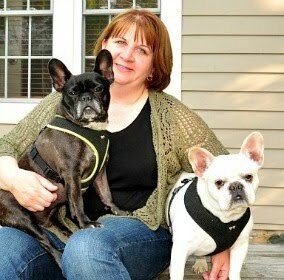 So when I need it, I don't necessarily need a full head. Not wanting anything to go to waste, I will either plan another cauliflower dish the same week or I will freeze the leftovers for use later. Freezing cauliflower is super simple! 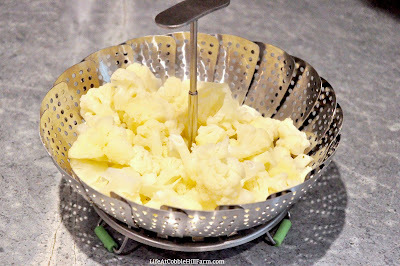 Whether I have a surplus of fresh cauliflower in summer or bits of extras throughout the year, I like to blanch and flash-freeze it for use in future recipes. 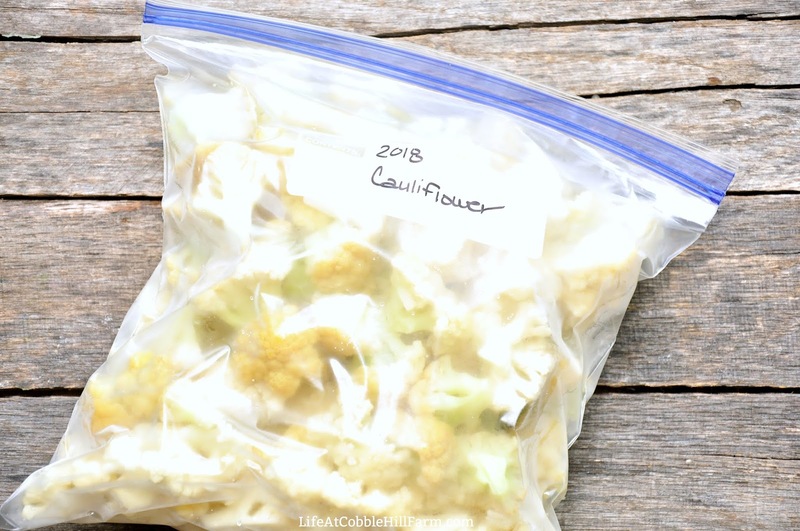 Once frozen it can be added to the freezer-safe zip loc bag that I already have going in the freezer, allowing me to remove as many or as few as I'd like each time I'm needing it for a recipe. 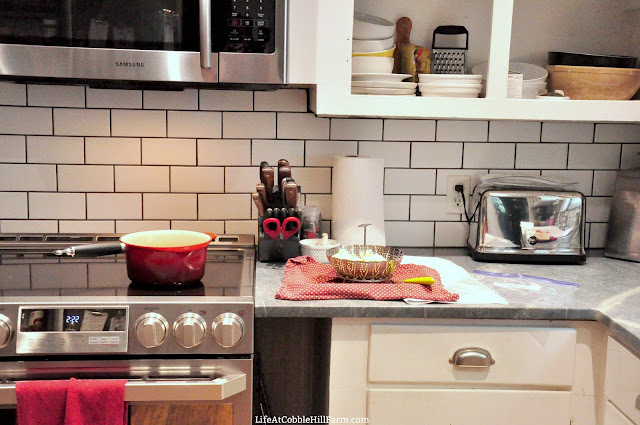 Trim away any bits that are turning brown/black. Cut as desired (I usually cut mine down into smaller florets). To steam blanch: Bring a small amount of water to a boil in your steamer pan (I LOVE this one - it fits in any pan, folds up for easy storage and is inexpensive!) 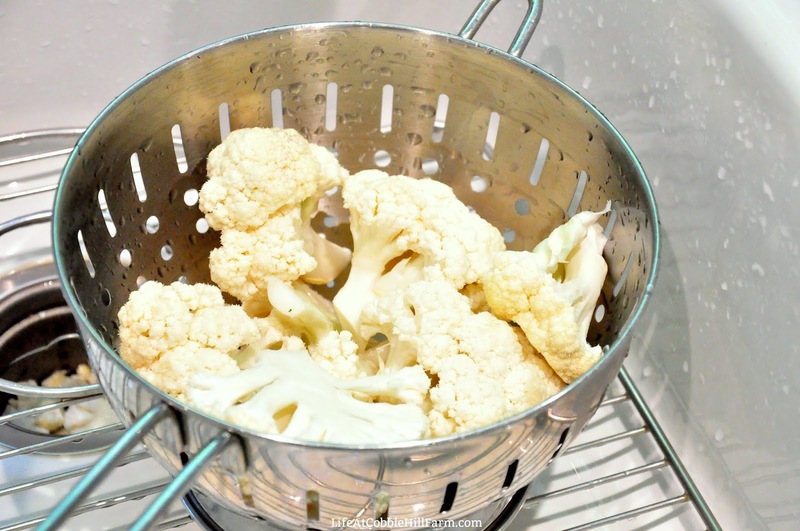 Once water is boiling, add cauliflower to steamer, replace lid, and steam for 5 minutes. Drain. To boil blanche: Bring 2-4 cups water to boil in saucepan (depending on how much cauliflower you have to process). 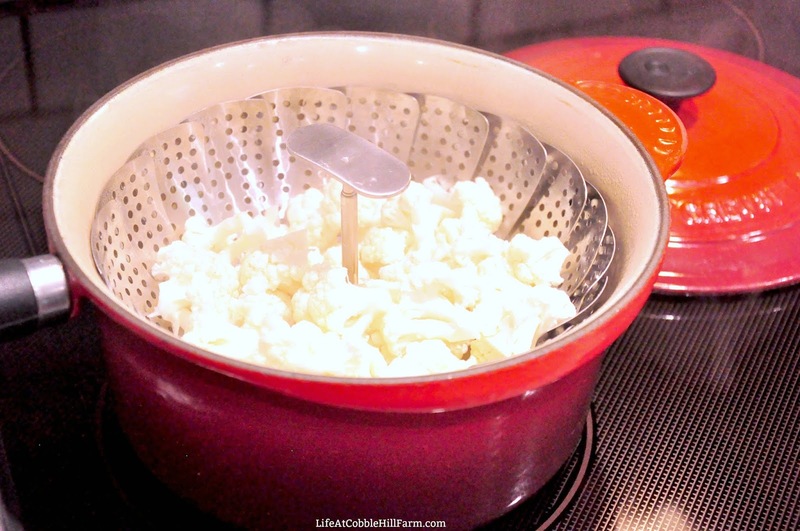 Add the cauliflower, return to boil, cover, and boil 3 minutes. Drain. 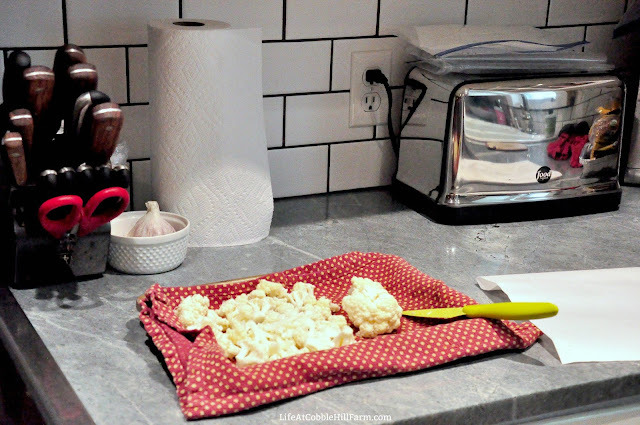 Prepare a baking sheet with freezer paper. 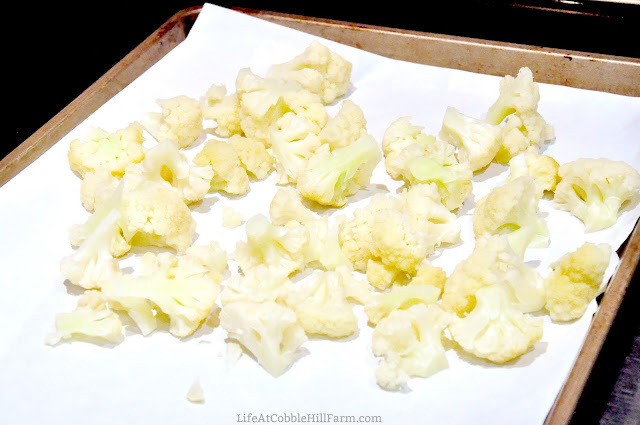 Place drained/dried cauliflower on freezer paper lined tray and place in freezer. 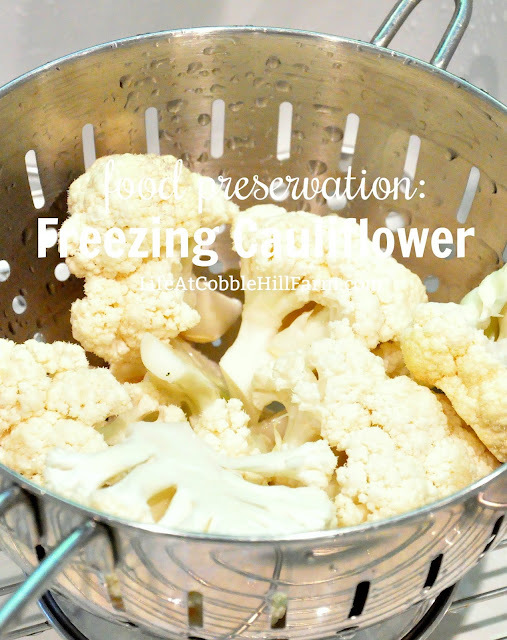 Freeze 1-2 hours (or more). Transfer frozen florets to a freezer-safe bag. Remove as much air as possible, label, and store in freezer. You can now pull what you need throughout the year and/or add frozen florets to the bag as you freeze them.